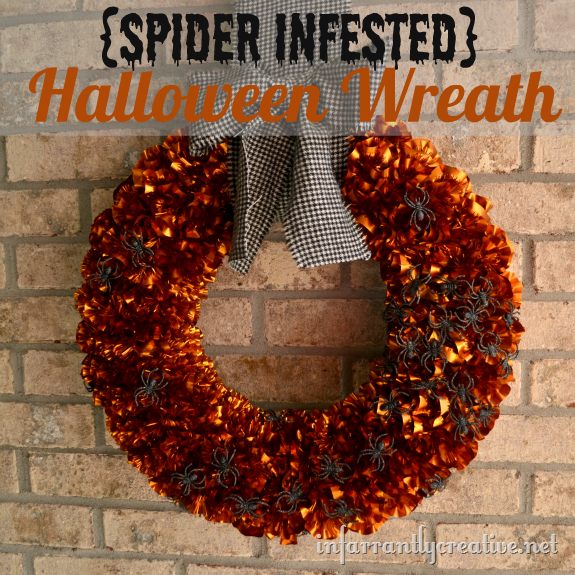 I love this new Halloween Wreath I made. It looks all classy with the orange shine and houndstooth ribbon and then you look closer and see the glittery spiders. Isn’t it wonderful? It looks perfect in my hallway on my aqua mirror.